This week we have two featured community members: Ray Bernard and Jennifer Webb, co-founders of Suprfanz, a tool that uses data science techniques and graph theory with Neo4j to generate live event attendance from social media platforms, email, and SMS. Ray and Jennifer were at GraphConnect NYC 2017 this week and created a Graph Karaoke machine which was a big hit in the Developer Zone. On behalf of the Neo4j community and especially the GraphConnect attendees thanks for all your work Ray and Jen! On Tuesday we hosted the latest version of the GraphConnect conference, this time in New York City. Well over 1,000 people got to hear Neo4j CEO Emil Eifrem announce the graph platform which adds analytics, data import, and visualisation on top of the database. 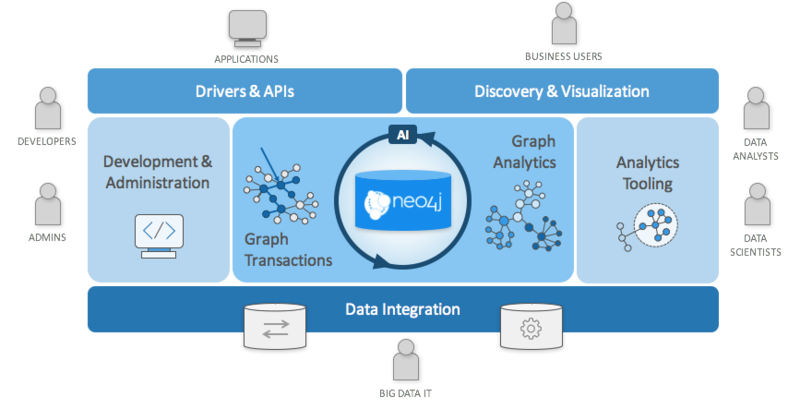 This week saw the release of Neo4j 3.3, which is the centre piece of The Neo4j Graph Platform, Neo4j 3.3 focuses on empowering users to work with native graphs at scale more effectively and faster. You can download Neo4j 3.3 from the normal place. This is the first release of the Neo4j Desktop which makes it even easier to get up and running so give it a try and let us know how you get on by sending an email to devrel@neo4j.com. We also released a new version of graph algorithms which now has support for huge graphs as well as the TriangleCounting/Triangle-Coefficients and Louvain Clustering algorithms. Finally there are new goodies to play with in the APOC fall release. This release sees lots of new features including a procedure to access other databases via Bolt and support for multi value JSON sources. John Singer has another installment in his series on knowledge graphs. In this article he considers what meaning is and how software can know what something means. In A graph(ical) approach towards Bounded Contexts Markus Harrer shows how to use jQAssistant to work out where intertwined components can be cut into separate ones. This week on the podcast Rik interviewed Marco Falcier and Alberto d’Este, creators of Neo4j Versioner – a collection of procedures, aimed to help developers to manage the Entity-State model, by creating, updating and querying the graph. They talk about Marco and Alberto’s work on the JDBC connector, graph modeling, and of course Neo4j Versioner.